Many people choose to own pets. When we are talking about a cat or a nonviolent breed of dog, or a fish, this typically doesn’t cause any problems, and people derive a great deal of enjoyment from their animals. However, some people choose to keep more exotic species of animals as pets, and some pose a safety risk to others. Some of these exotic animals are even illegal to keep as pets in the Commonwealth of Massachusetts. You may recall the report in recent years regarding a neighbor who was attacked by a neighbor’s pet chimpanzee or another harmed by a pet snake. While these incidents may be reported as crazy occurrences, the fact is, these kind of injuries happen on a regular basis. According to a recent report from Bangor Daily News, we are experiencing an increase in the frequency of dangerous animal attacks throughout the New England area. Of course, the article discusses the 2011 case of a Boston woman who was attacked by her employer’s pet chimpanzee. In that incident, the 200-pound chimpanzee attacked her, causing her to lose her nose, lips, hands and eyelids, and, later, a disease from the animal caused doctors to have to remove her eyes. She required a full face transplant and suffered extreme disfigurement which will never heal and unimaginable emotional distress. In a more recent incident in Maine, a person purchased a rat from a local pet store only to have the rat bite. The rat bite caused him to spend the next ten days in the hospital fighting a serious infection and left him with considerable damages. He sued the pet store, and that case recently settled. As our Boston animal bite injury attorneys can explain, when someone chooses to have a dangerous pet, they can be held responsible for any damage the pet does, and it may be even easier for a plaintiff to prove his or her case than in cases involving ordinary household pets. This is because when someone chooses to own a potentially dangerous animal or a wild animal, they are taking an extreme risk his or her animal may bite or otherwise attack an innocent plaintiff. This decision to take on this risk (whether they knew or not) translates into a risk they will not be able to defend against negligence during a civil trial. In the case of exotic or wild animals, courts may adhere to a theory of liability known as strict liability. When an act is held to a strict liability standard, it is only necessary to prove the act occurred, it is not necessary to prove any negligence on behalf of defendant. Essentially, a strict liability standard removes the requirement to prove a mental state on behalf of defendant. There is no need to show defendant’s conduct was either negligent or intentional to recover damages. However, it should be noted, even in the case of a strict liability standard of proof, it is still necessary to prove actual damages. Damages are the legal term for loss plaintiff suffers. 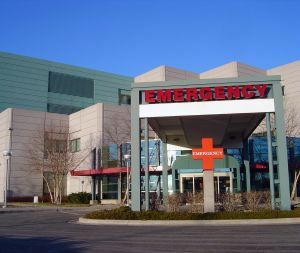 This can include medical bills, lost wages, special damages, and a variety of other consequences. If a wild animal owned by your neighbor attacks you, and you are not injured, while it is not necessary to prove fault, you will not be able to recover for damages you did not suffer.